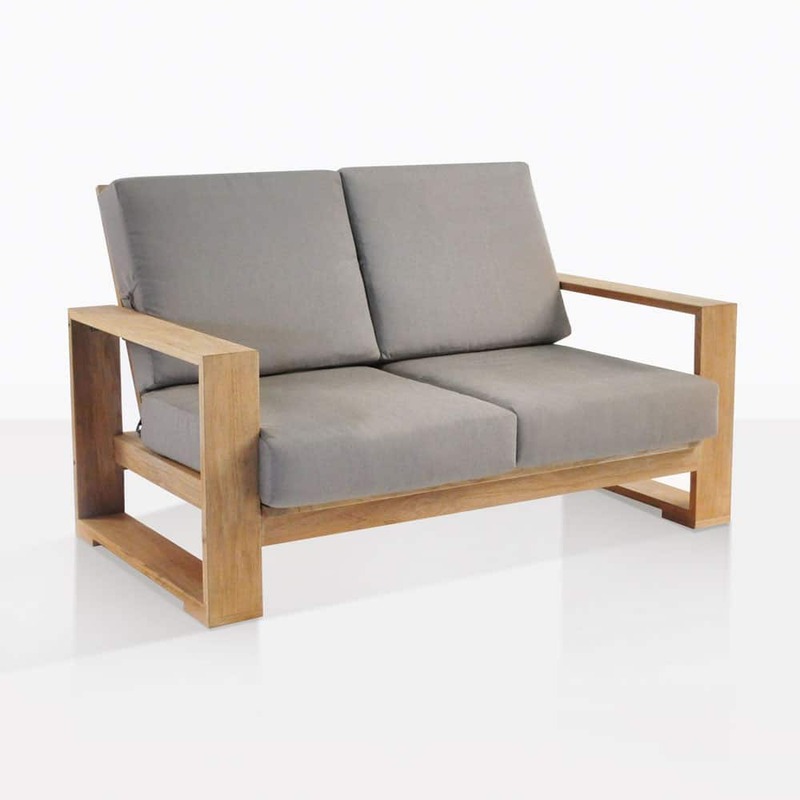 An Outdoor Loveseat with an organic and airy feel, as well as a structured side to its design: this is a good introduction to the Havana Teak Outdoor Loveseat. 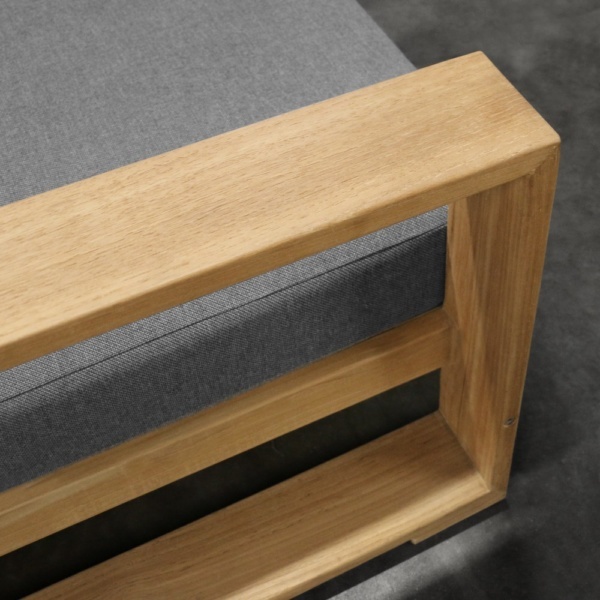 The wide arms and ample seating area don’t detract from the minimalist design and the airy structural framing of this smooth Outdoor Loveseat. 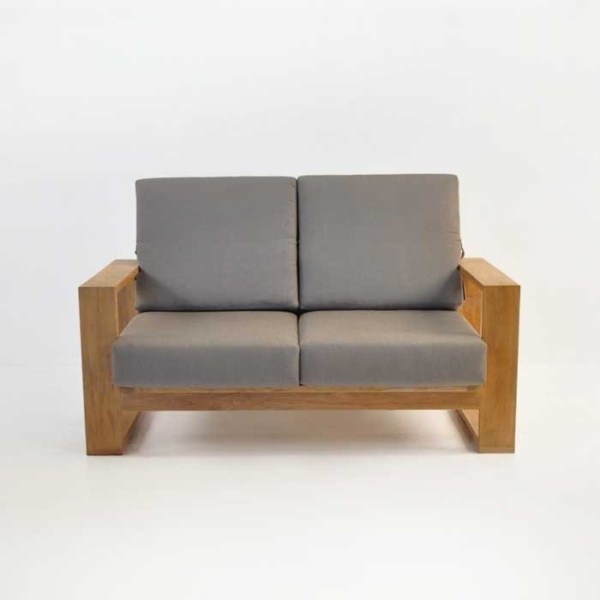 W58" x D36" x H35"
This outdoor loveseat is reminiscent of the 1940’s and 1950’s and the mid century modern movement, where clean organic lines met with sophisticated concepts to produce an excellent style that is still strong today. 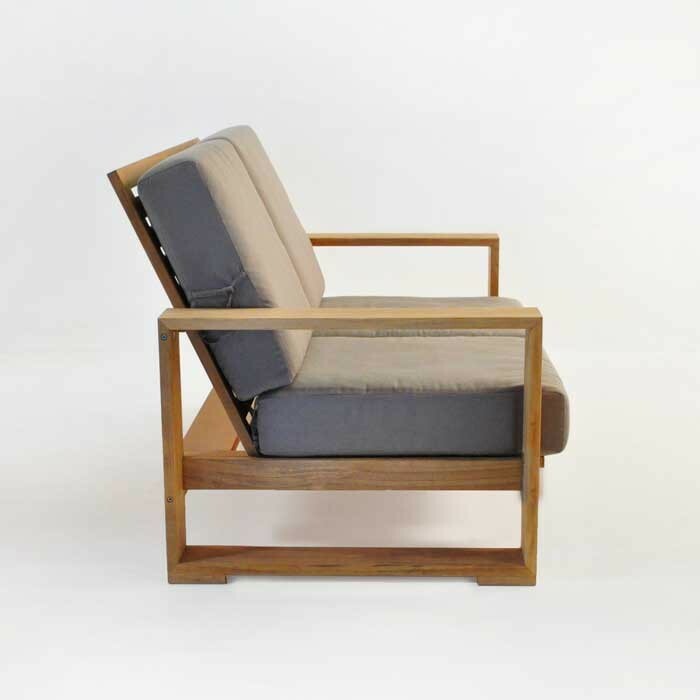 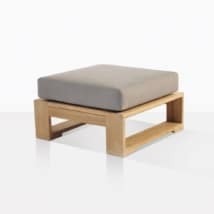 Sunbrella® cushions cover a stable and beautiful teak wood frame made from Grade-A teak. 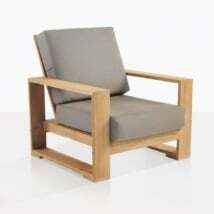 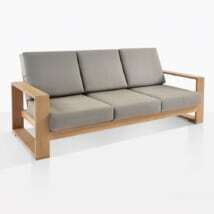 This modern teak outdoor loveseat has all of the elements of timeless design to keep it contemporary today. 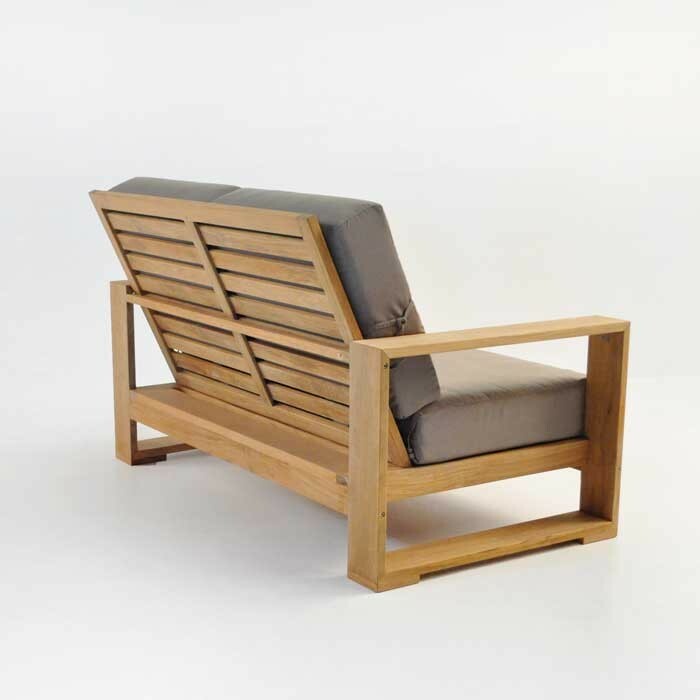 The angular frame and square arms seem to hold the seat at the perfect position to make this Outdoor Loveseat an excellent conversation and entertainment piece. 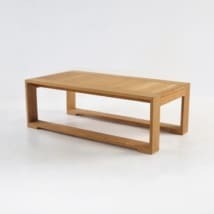 Your guests won’t struggle to get up and greet each other with drinks in hand because the seat height (16 inches) and nicely proportioned seating surface make this an easy to use loveseat. Colors that provide perfect contrast for the modern home, including taupe, coal and canvas, highlight the beauty of the honey and warm tones of the teak. Clean lines, comfortable cushions and spot-on design elements make the Havana, an excellent choice for the person looking for a modern Outdoor Loveseat capable of handling weather and the sun.